Click the button below to add the Excessive Chemicals Hair Treatment #Treatments# to your wish list. If your hair was damaged by chemical processes this product is for you. This treatment will deeply penetrate the most damaged strands to provide them with strength and manageability to help prevent breakage. The vitamins and nutrients in this product will repair and restore. This product will turn dry, damaged limp and over processed hair into soft, luscious, strong and vibrant hair. Repairs hair damaged by relaxers, bleach, color and /or keratin treatments. Leaves the hair soft and silky smooth while creating noticeable volume. Due to its concentrated pure ingredients, we suggest to using a very small amount. Wild Yam Root and Bilberry Extract promote healthy looking hair growth in women. Coconut Oil has vitamins and essential fatty acids that nourish the scalp and help remove sebum build up from hair follicles. This oil helps your hair grow longer thicker and faster for a fuller appearance. 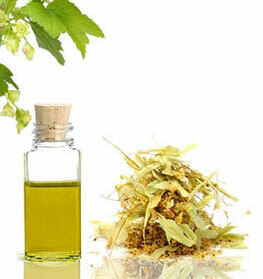 Grapeseed Oil contains a high level of vitamin E which is necessary for hair growth. 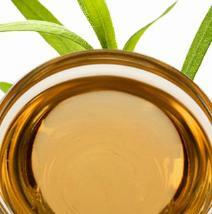 This oil can be used as a hot oil treatment and will make your hair look shiny and luminous. Olive Oil is great for thick, processed or split ends. It keeps the hair moisturize while preventing damage from chemical services. When doing any chemical service, keep your hair a little dirty. This may prevent you from getting chemical burns and will protect the hair from the harsh chemicals. Be extremely gentle with the hair. Comb and brush your hair only when needed. Always from your ends upward. If you do the opposite it would cause the yanking and tearing of perfectly good hair. Invest in deep conditioners. Your hair becomes drier and more porous once you add chemicals to it. It is best to buy a protein deep conditioner and a moisturizing deep conditioner to balance your hair and to keep the hair soft supple and strong. Never use a rubber band or metal clips that will snag and rip out the hair. Convert to seamless barrettes and silk/satin coated scrunchies.